We are as disappointed as you are that the CLA has had to cancel the 2012 Game Fair at Belvoir Castle. However, this does mean that we are able to give you some of our best offers to soften the blow. These offers won’t last long, and our special 10% off is valid until 22/07/2012 with the code CLA12. This code can be used on new and sale clothing items, and once you’ve found something you like, just add the code at the checkout. 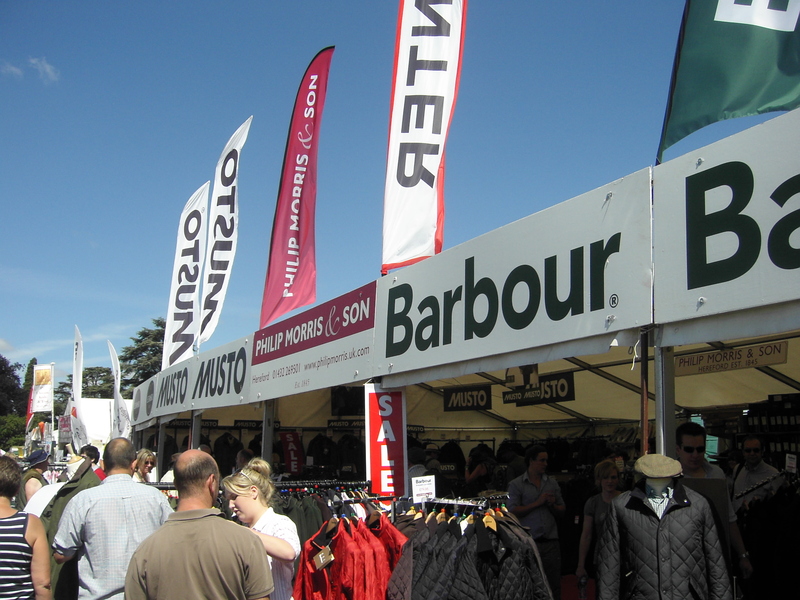 Visit our Country Clothing page where you will find all your favourite brands, at our best ever prices, and you can still come and visit us at the Chatsworth Country Fair, and the Midland Game and Country Fair at Weston Park this summer. With all the great products and offers we have, listed below are a few of the key items to check out. One of the great products you can get discounted with the CLA12 code is the Musto Technical Wool Smock. With a breathable and windproof membrane, it ensures you are kept warm with its wool and microfleece lining. The Musto Polartec Fleece Gilet has a classic country style, and using Polartec fabric technology it will keep you warm. The Musto Polartec Fleece Jacket has a DWR finish, meaning that it is waterproof, and is lightweight, without sacrificing any warmth. The Musto Snug Blouson is a breathable jacket, which is wind and showerproof. Made from 100% polyester, you will be kept warm. With a GORE-TEX® membrane, the Barbour Sporting Superlight is 100% waterproof, windproof, breathable and lightweight. The hood is removable, and with a number of different pockets, you can carry everything you need. A great all-rounder. The Barbour Ladies Summer Liddesdale jacket is a quilted jacket, tailored with classic Liddesdale pockets. The jacket features the classic Barbour fold-down collar, and is machine washable. The gilet version of the jacket is the Barbour Ladies Summer Liddesdale gilet. Available in a range of colours, and with a 100% Polyamide outer and lining, this gilet is built to last. One of our New Season items is the Musto Ladies Luxury Tweed Country Jacket. With a Scottish herringbone tweed, made from a lambswool and angora mix, it really stands out from other jackets on the market. The eye-catching muffs are removable, giving the jacket versatility and style. The Musto Holmside wellingtons are made with 100% vulcanised rubber outer, and 3mm neoprene lining. The vulcanising process is when the rubber is heated, and chemically combined with sulpher giving it strength, elasticity, and resistance to solvents. Musto are known for using fabric technology, and the Holmside wellington is no exception; a good quality, solid boot, which comes with a free plastic boot jack, for a limited time. A country classic, the Musto Ladies Deepdale boot combines waterproof and breathable Gore-Tex technology, with a Vibram sole to produce a fashionable, comfortable, high-performance boot. Zip tassels add a touch of style, and the boot has been made to support the foot, ensuring they can be worn all day.